At least if the experience of this herbalist is anything to go by, Marigold is one of the easiest medicinal herbs to cultivate (at least in the south of England). You just literally scatter the seeds on the soil! Taken internally, for example as a tea, Calendula is understood to help restore the integrity of inflamed mucosa in the gastro-intestinal tract. 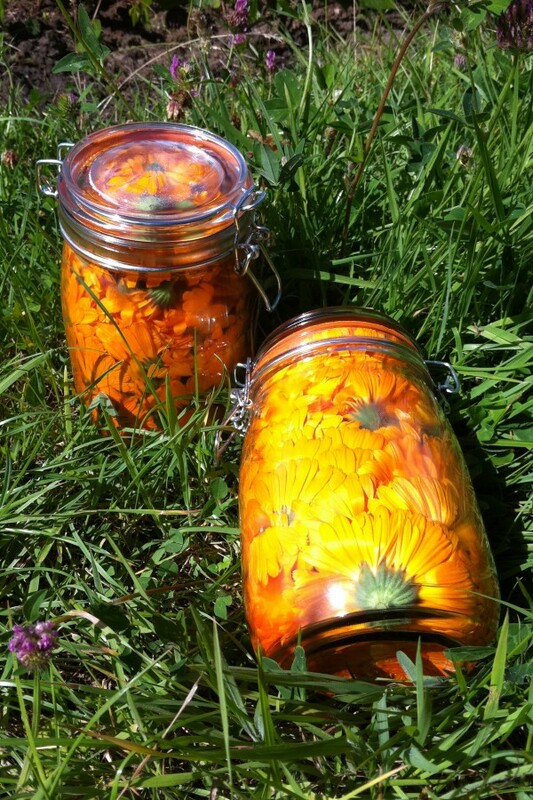 Medical herbalists sometimes use high-alcohol extracts of Calendula officinalis as part of an external preparation for infective skin disorders, as they contain resins with strong anti-microbial properties, alongside other constituents which facilitate healing. NB Calendula officinalis is a member of the daisy family. Those who are allergic or sensitive to other members of the daisy family may also suffer adverse reactions to Calendula.